Should your house, apartment or side entrance doors be opened without a key? 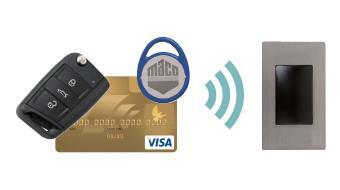 Whether you are looking for a finger scan integrated in the push handle or in the door leaf, a pincode keyboard or a transponder tag - MACO's openDoor access solutions offer a wide range of possibilities that meet the highest demands in user comfort and safety. They are all versatile and comfortable to operate, fast in response time, tamper-proof, can be fitted outdoors and have a top-class design. These access solutions are completely pre-assembled and Plug&Play capable for automatic and motorised locks. Your finger becomes the key. This push handle is the premium class of biometric access control and integrates the Fingerscan Touchkey BT into the handle. 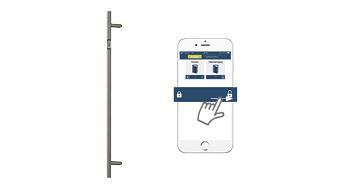 It combines the opening by fingerprint or smartphone with easy management and secure operation via the App. User rights can be easily setup and/or deactivated without having to pre-provide the fingerprint. 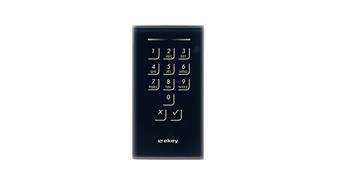 Access to the house or apartment is by scanning a fingerprint on the Touchkey. Your finger becomes the key which makes locking yourself out impossible. 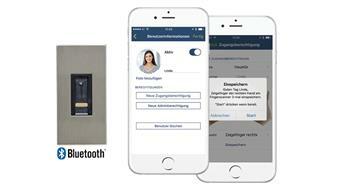 As a Bluetooth version, the Touchkey is easily managed via a smartphone App. This can be practical, for example, to allow the neighbours access to water your plants. This easy opening pays-off when unloading the car, for disable people or with automatic opening doors. The encrypted data transfer between the Fingerscan and smartphone ensure this solution is highly secure. The reader unit is externally embedded directly into the door leaf, while the control unit is directly integrated into the door profile. Opens using a four to eight digit pincode on the codepad. The capacitative touchpad is very easy to use thanks to its top-class haptic and can store up to 99 pincodes. 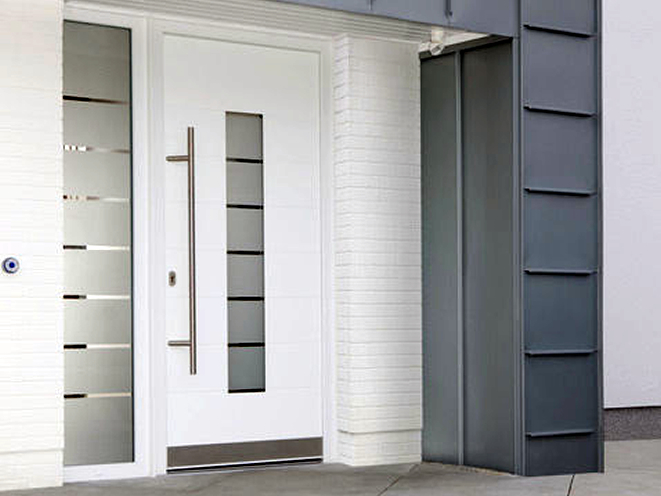 It is embedded externally in the door leaf with the control unit being directly integrated into the door profile. This makes it as secure as it is beautiful. A car key, transponder chip or card become the house key. The contactless identification happens via the reader unit mounted externally in the door leaf or in the wall. The control unit is directly integrated into the door profile. This ensures the communication is encrypted and cannot be manipulated. Almost all car makes are compatible with this solution. Multiple car keys and transponder chips or cards can be read.